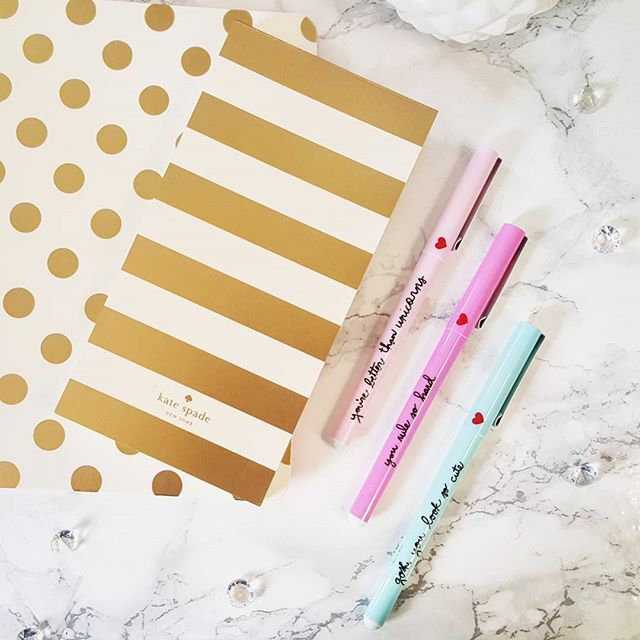 I can’t believe we’re already a whole week into September! I’ve been slacking a little bit with blogging lately but with good reason… I finally got the keys to my own place! I first viewed the flat in May so I’ve been waiting all summer for the tenant that was living there to leave and for my mortgage etc to go through. 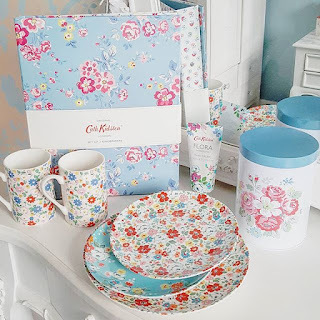 I had another little trip to the Cath Kidston outlet store in St Neots last month which meant I picked up yet more clearance goodies! I managed to buy two floral ring binders, a pair of pretty mugs, hand cream, a storage tin, and three small side plates. I can never resist a pretty bargain! 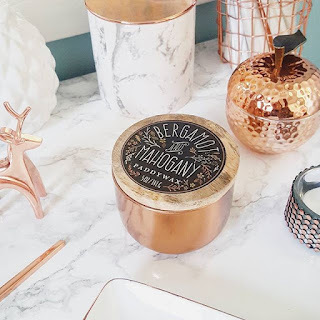 I’m still loving copper homeware accessories and my latest addition is this stylist Paddywax bergamot and mahogany scented candle. I don’t often burn candles as I always feel like they’re too pretty to use up, but I love the smell of this one as I can use it without compromising the look! 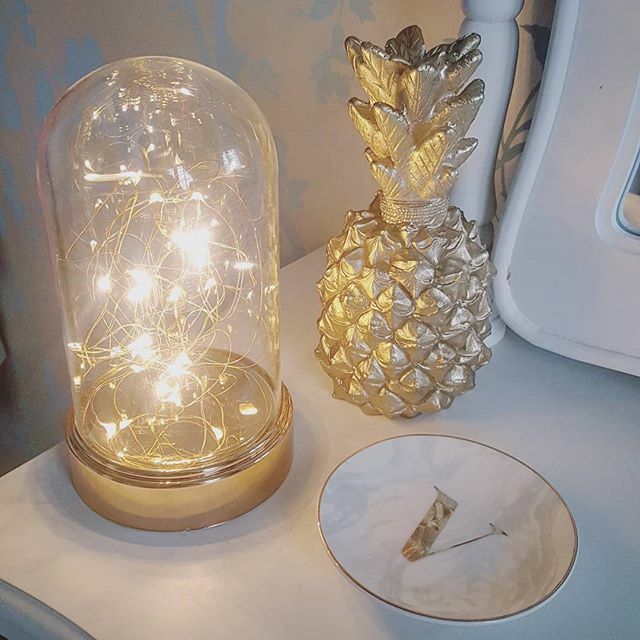 I’m really sad that summer is over because I feel like I’ve hardly been able to take advantage of carboot sale season. 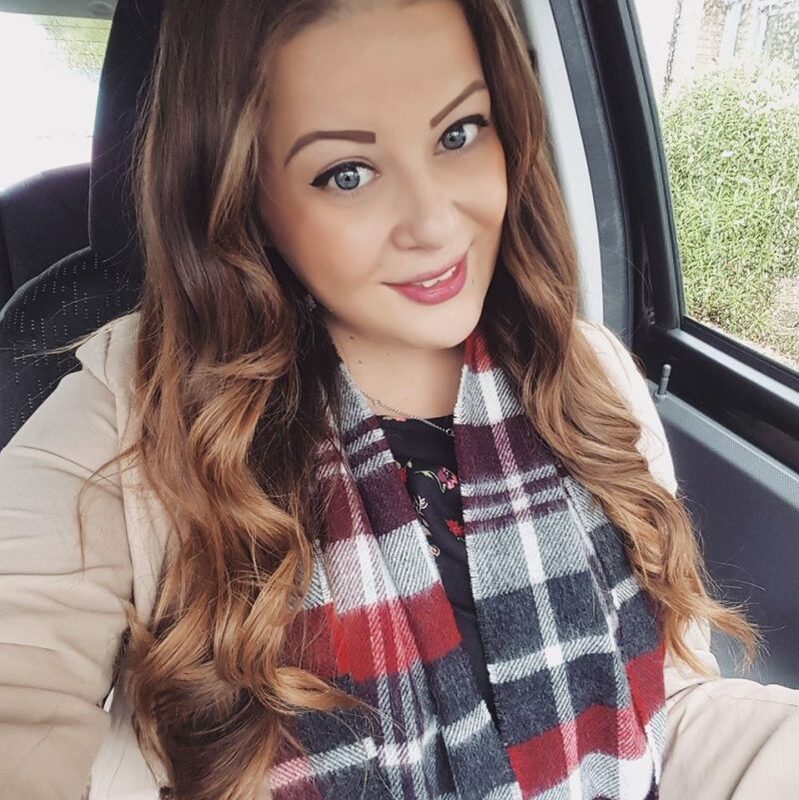 I managed to attend a couple and even held a carboot sale myself and managed to make almost £100 selling my old clothes and nik-naks. 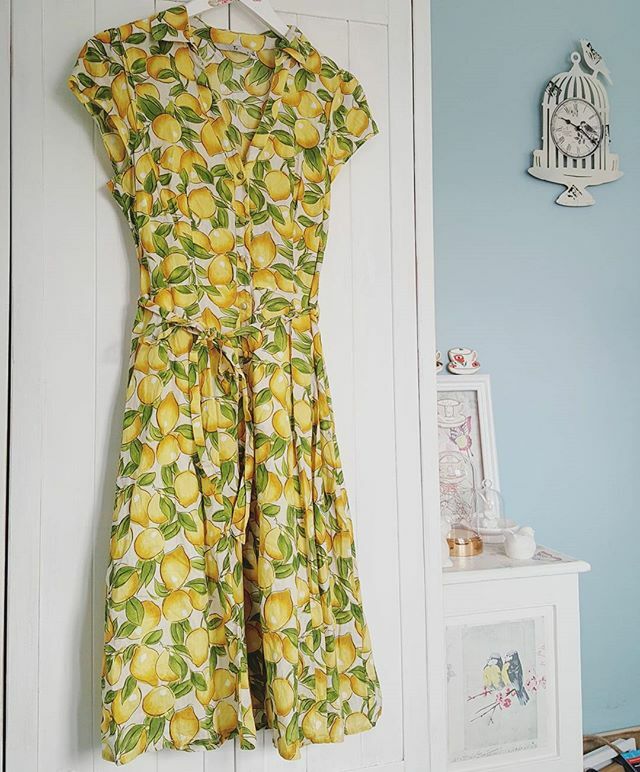 I didn’t get to make too many purchases but I did managed to pick up this pretty lemon print dress for only £2! 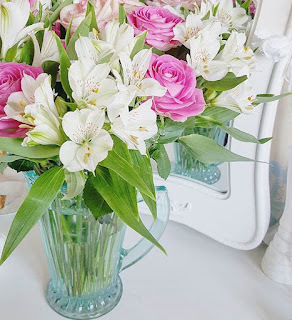 Interflora recently sent me a beautiful bouquet of flowers as a lovely surprise! They’re from their new letterbox flowers range which means that these flowers were packed into a narrow cardboard box and put through the door. This particular bouquet is the Serenity which includes pretty pink roses and white alstroemeria. I love my Vera Wang original Princess perfume which I bought last year, but when I was in Berlin a few months ago I also tried the Princess of Hearts version and fell in love. 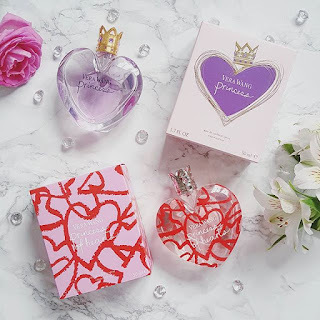 I struggled to find it available to buy in the UK, but eventually it was in stock at Fragrance Direct! 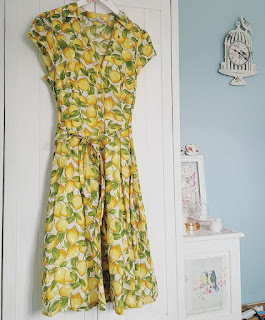 It’s quite sweet but I love wearing it in the daytime and it was perfect for summer. 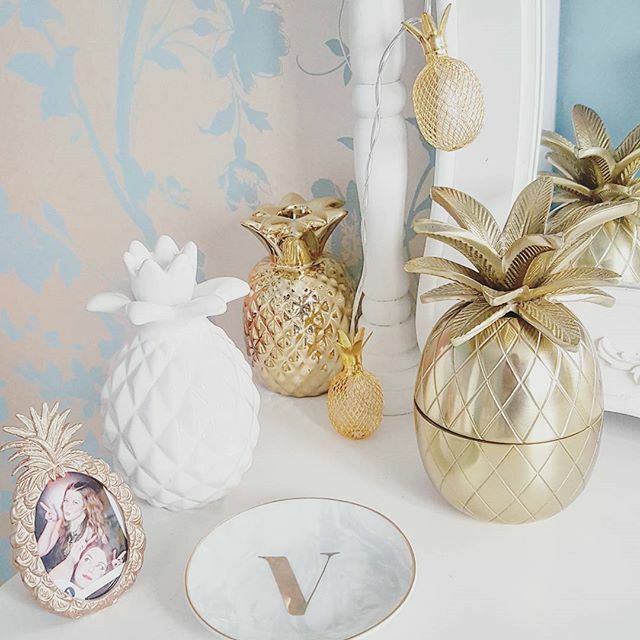 Sticking with the gold/marble theme in my dressing room, I have some new accessory additions! The led light bell jar is from Primark and was only £6! It’s battery operated so I can put it anywhere, and it goes so nicely with the other bits. 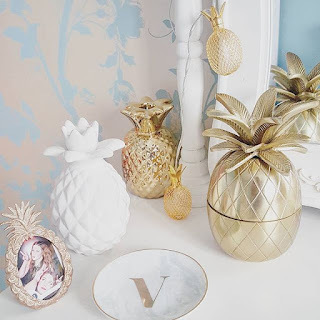 The white ceramic pineapple is from Poundland, and I found the big gold candle pineapple in Primark for only £2 in the sale! 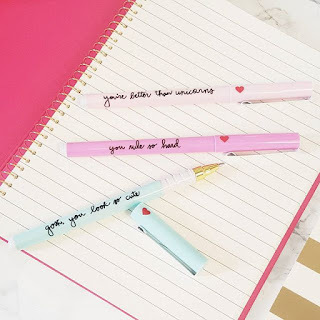 is great for meetings at work. The Sweet Talk Pen Set from Bando compliments them beautifully, and has sweet little phrases engraved in each one! 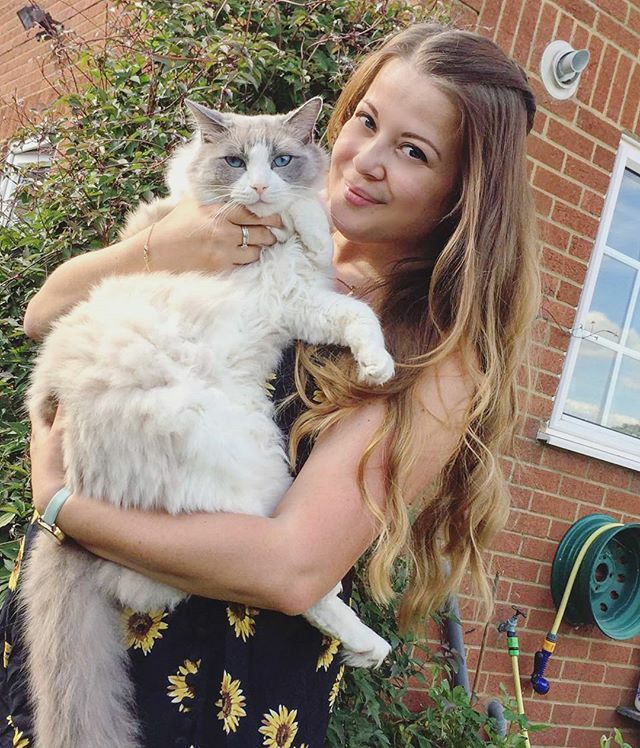 Next Post Say Hello to Marshall!